Absolute Beachfront Holiday House is the ultimate beachfront getaway with a full deck overlooking Pearl Beach, wall to wall glass doors and ocean views in a serene and peaceful location. Pet friendly. All luxury linen provided. Modern kitchen contains microwave and dishwasher. 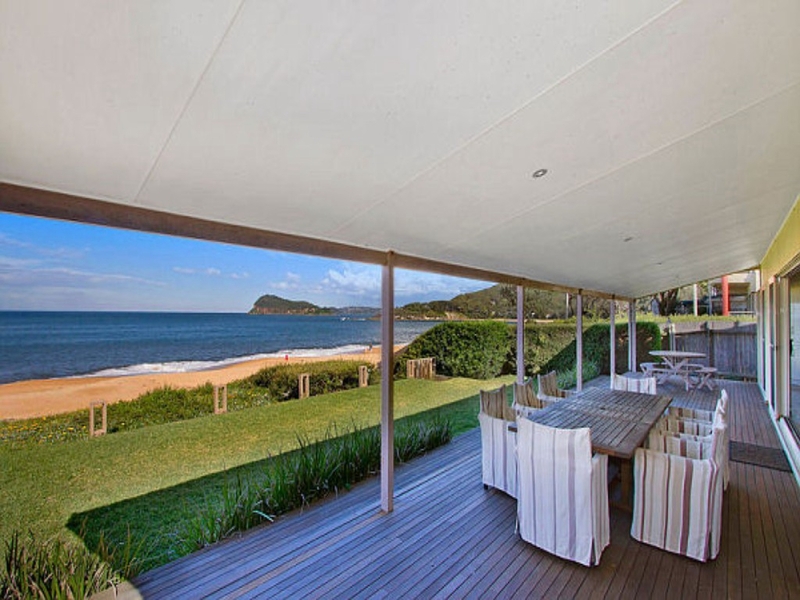 Stunning views and coastal theme throughout. Main bedroom contains king bed complete with ensuite, bedroom 2 contains double bed and bedroom 3 contains 2 queen beds. Pet friendly. The yard facing the street is fenced but the beach side yard is not fenced.